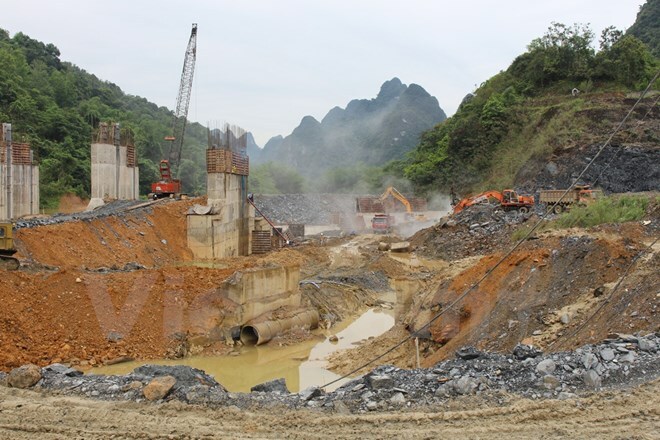 VietNamNet Bridge - As requested by the National Assembly, in 2013 the Ministry of Industry and Trade (MOIT) decided to remove 400 small-scale hydropower projects out of the hydropower development program. But many projects were then carried out in the mountainous provinces of Ha Giang and Cao Bang. In other countries, small-scale hydropower plants with capacity of several megawatts which serve a small number of households are located in areas far from the national grid. The don’t interfere with agricultural production. Twenty years ago, Vietnam was thirsty for capital and power and called for investments in the power sector from different sources. As requested by the National Assembly, in 2013 the Ministry of Industry and Trade (MOIT) decided to remove 400 small-scale hydropower projects out of the hydropower development program. In the first years of the 21st century, thousands of hydropower projects were approved, designed and executed on thousands of rivers and streams. Many projects were still on paper, but the supporting works were completed: the forests were felled to create roads to the sites and agricultural land was taken back to make room for the project. As the people’s lives were upset, scientists and local authorities reported the problems to the National Assembly. The government in 2013 submitted to the National Assembly a list of small-scale hydropower projects to be removed from the hydropower development plan. The projects encroached on special-use forests and precious mineral mines, occupying large agricultural land area. Most of them had capacity of less than 5 MW. According to Vu Trong Hong, former Deputy Minister of Agriculture & Rural Development, the total electricity output provided by small-scale hydropower plants to the national grid is just 10 percent. The total volume of electricity contributed by thousands of small-scale power plants is just equal to that churned out by the medium-scale 259 MW Se San 3 on Se San River. To implement the projects, hundreds of thousands of hectares of forest and millions of agricultural land plots would be lost. Moreover, local people will no longer be able to earn their living on streams. Many farmers complain that they do not get any benefits from the water discharging from hydropower plants. In daytime, when they work in rice fields, they cannot receive water from hydropower reservoirs. The water only comes in the evening after they have gone home. Hong told local press that the national development strategy’s biggest blunder is the development of small-scale hydropower. The strategy has caused negative consequences to agricultural production.